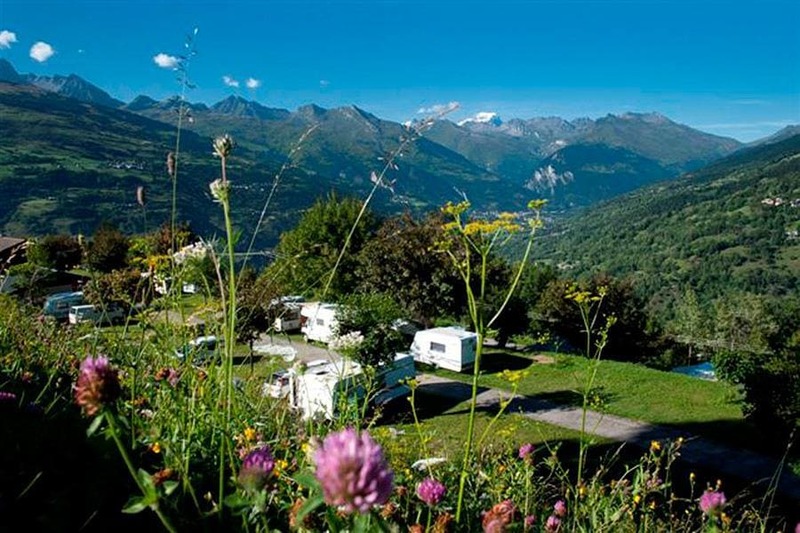 Campsite de Montchavin is a campsite with 43 touring pitches and 15 year round pitches. During low season, between 20-04-2019 - 05-07-2019 and 24-08-2019 - 29-09-2019, the nightly rate is €16,- at one of the 43 touring pitches at Campsite de Montchavin in Montchavin (Savoie). At this campsite you can not only use your CampingCard ACSI for inexpensive camping, you can also use your ACSI Club ID (as an alternative ID). High-altitude terraced campsite with extensive view over the valley from every pitch. Very welcoming village at 5 minutes from the campsite on foot. Ideal for skiing in winter. An amazing view from all pitches once the clouds separate. The owner is amazing, coming out to greet us in the rain well after the office had closed. She sorted out our amperage, checked we had everything we needed for the night and told us to pay in the morning. The facilities were warm and spotlessly clean with lots of hot water and at only the cheapest of our fees during our first week of touring. The following morning the same helpful owner contacted the local tourist office as she was unsure of the status of the road ahead and informed us the pass we were to have taken was closed and advised us of an alternative route. A lovely place for a stop over and very economical. Would you like to book Campsite de Montchavin or request more information? You can do both using the information below. From Moutiers take the N90. After Bellentre drive in the direction of Montchavin-les-Coches. Signposted from here on. The campsite is located on the left of the village centre. CampingCard ACSI will send your information request to "Campsite de Montchavin".